Unfortunately, these blooms are no longer in season! If you want us to bring it back, let us know! Need proof that chivalry isn’t dead? Introducing the Romeo. This blush-toned beauty will have your sweetheart swooning. 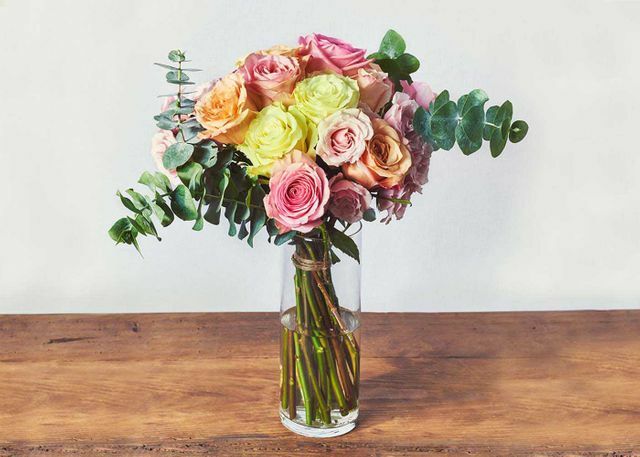 With fragrant, spiral eucalyptus and a clutch of fluffy roses, this romantic bouquet is the definition of love at first sight.